Born and raised in South Carolina, Courtney Aiken is the youngest of four children. 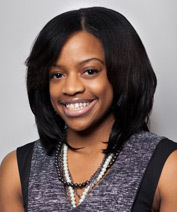 A 2007 graduate of Spelman College, Courtney has over 8 years experience in the real estate field. When she’s not working, she enjoys spending time with her family and listening to music. A graduate of Lamar University, Ramona is originally from Texas. She moved to Georgia in 1988 and has worked in the Real Estate industry since 1992. Ramona has experience as a closer, pre-closer and post-closer. A mother of two with two grandchildren, Ramona enjoys the beach, music, shopping and cooking. Beverly first joined the firm in 1983 as a closer and title examiner, and now handles the firm's land acquisition department. Her responsibilities include closings, titles and survey reviews. 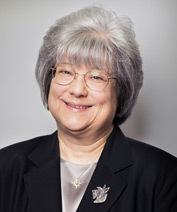 She has 40 years experience working with title companies and real estate law firms. 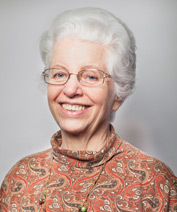 Beverly enjoys hiking, reading and spending time with her family. 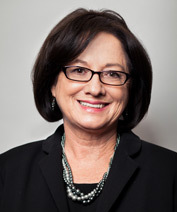 Linda joined the firm in 2010 overseeing the relocation department. She assumed the position of Firm Administrator in 2012 and manages the firm's Vista title insurance business. Linda and her husband share their home with two very spoiled Scottish Terriers. An avid astronomer, she enjoys starry nights, movies and road trips. Angéle is a native of Long Island, New York and has lived in Georgia for 10 years. 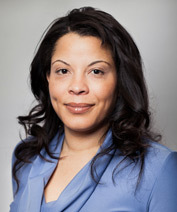 A 19 year veteran of the real estate industry, Angéle joined the firm in 2003. With experience as a legal assistant and closer, she currently oversees the firm’s Relocation Department. 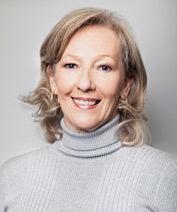 Marlene has worked in the residential real-estate field for 35 years and has spent most of her career with the firm. Born in Decatur, Marlene is a Georgia native and the mother of three daughters. An avid scrapbooker, she also enjoys singing and reading. Jessica grew up in Massachusetts near Cape Cod and moved to Atlanta in 1998. 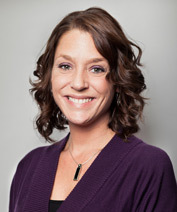 She has been with the firm since 2005 and currently works as pre closer for two of Atlanta's premier builders. A native of Ellijay, Georgia, Tracy has lived in Atlanta most of her life. She has been with the firm for 30 years and has experience in post-closing, pre-closing, relocation work and title insurance. Tracy currently serves as primary contact and closer for two of Atlanta's premier builders. She enjoys playing tennis and jogging. Alea received her Associate’s Degree in Paralegal Studies from Athens College in 1997. 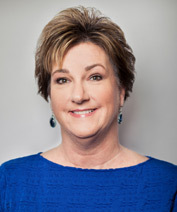 She has experience in the field of personal injury and worker’s compensation, but has spent most of her career working in the real estate field. In her free time, Alea enjoys DIY projects and scrapbooking. Randy was born in Dallas, Texas and his family moved to Atlanta in 1966 when he was two years old. 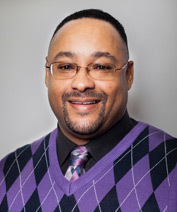 He joined the firm in 2002, conducting title searches and examinations throughout the metro region. In his free time, Randy enjoys the outdoors and fishing. 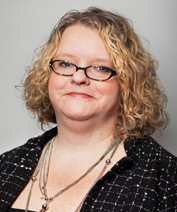 Stacie has worked with the firm since 1996. She currently handles multiple aspects of NACA work including closings and rehab balance checks. On the weekends, she enjoys scouring estate sales and resale shops. A lover of fashion blogs, Stacie hopes to one day open her own vintage clothing truck. 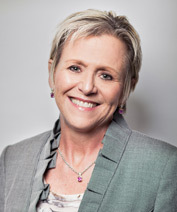 Louise first joined the firm in 1990. She worked as office manager before moving into the Relocation department, where she covered file preparation and assisted with off site closings. These days Louise focuses on inspecting and filing recorded deeds. Her hobbies include cooking and crochet. 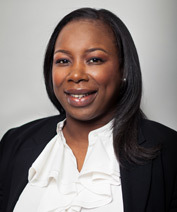 Juanita@closingattorney.com Originally from New York City, Juanita received her Bachelors' degree at Berkeley College. She joined the firm in early 2013 and has experience in various areas of law including wills, trust & estates, litigation, personal injury and real estate. During her free time, Juanita likes to read and cook. Kris is a native Atlantan. He attended Columbia High School and Atlanta Area Technical College. 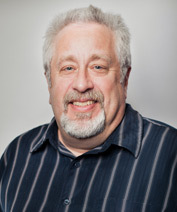 Kris has been with the firm since 2001 and oversees the courier services. Kris is married with four children and enjoys horseback riding, sports and barbering. 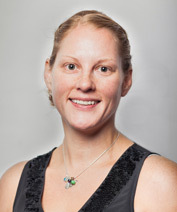 Originally from Southwest Florida, Kristen moved to Atlanta to pursue a degree in Business Management from Georgia State University. 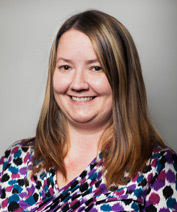 She joined the firm in 2001 and currently oversees all NACA closings and activities. Kristen enjoys cooking, travel and spending time with friends. 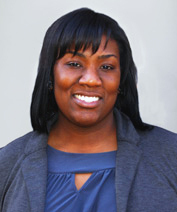 Ayanna Wade is the newest addition to the firms' staff. A Georgia native, she is a graduate of Wake Forest University. Looking to further her education, Ayanna is studying for the LSAT and preparing for law school. Appropriately enough, she enjoys watching reruns of Law and Order. 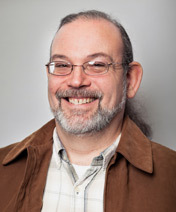 Phil joined the firm in 2004 and has twenty years experience as a real estate paralegal. He specializes in the preparation of settlement statements, title insurance policies and closing documentation. Phil enjoys spending time with his 2 children and friends. A longtime New York Giants and Yankees fan, he also enjoys golf and darts.